Ramanaidu Daggubati, more popular known as Rana, is a Telugu film actor. Daggubati Rana hails from a family of filmy people, where resides actors and producers. Producer D. Rama Naidu is his grandfather and Daggubati Venkatesh is his uncle. Inspite of easy ways to be a hero, the youngster chose a different field, though related to cinema, and that was digital cinema. Rana is a successful entrepreneur. He completed a course in visual effects and animation and even hired people from Hollywood to work in his studio so as to make extensive use of digital intermediate. His aim is to make better films in Tollywood. He has also attended a conclave to discuss the future of cinema. Finally, he felt that time was ripe to act in films and he played the lead role in Sekhar Kammula’s ‘Leader’. 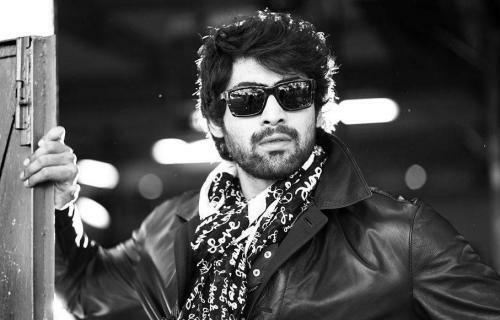 He is the son of popular producer D. Suresh Babu, the grandson of D. Ramanaidu and the nephew of actor Venkatesh. He is the nephew of Nagarjuna Akkineni, and his cousin is also a movie star known as Naga Chaitanya. Before embarking on an acting career, Rana was a successful Digital Post entrepreneur, accredited with having transformed the evolution of the postproduction landscape in South India. Having identified an emerging need for digital services he established DI and state-of-art postproduction technologies through his company, Spirit Media. After the success of Spirit Media, Rana underwent intensive training in acting. After his uncle, Telugu superstar Venkatesh, Rana hopes to carry on the family legacy, not just behind the camera but in front of it as well. 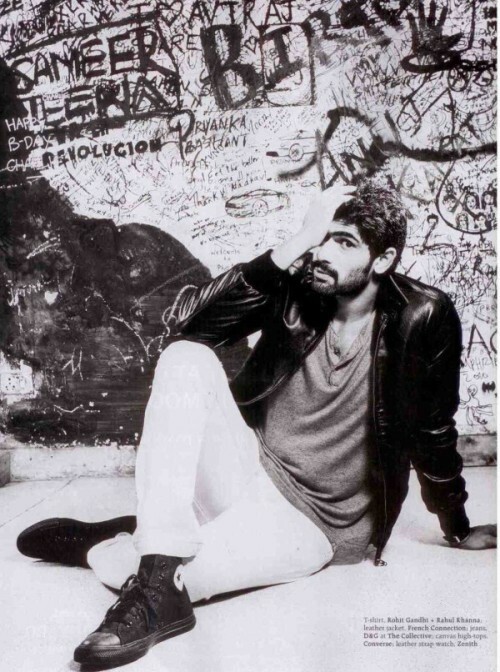 His debut performance in his current film ‘Leader’ directed by Sekhar Kammula established himself as an accomplished actor. 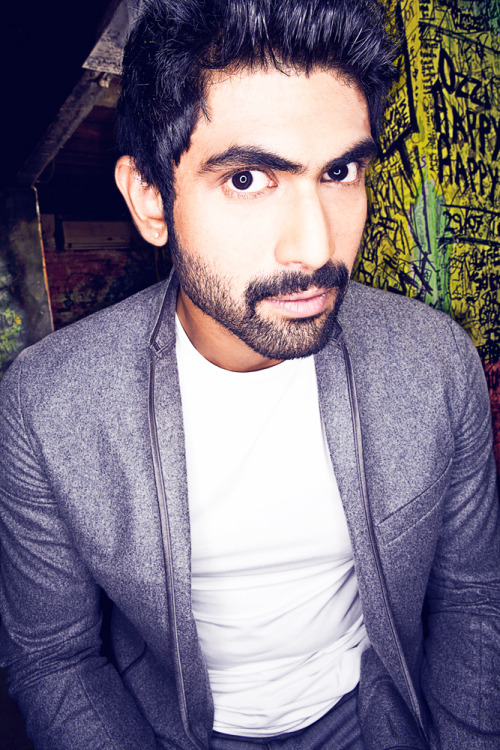 2002 –Straight out of school in 2002, Rana spent a year and a half in Chennai pursuing photography at the Konica Institute of Imaging and Technology and also consulting for Timeline studio, a visual effects studio, as a cinematographer. During the year he produced several documentaries and advertisement films in Chennai and Hyderabad for various brands, gaining proficiency in various facets of film-making. 2003 – At the age of 19, Rana returned to Hyderabad to join the family business at Ramanaidu Studios and Suresh Productions, an integrated production power house. He learnt the art, craft and business of filmmaking from his grandfather industry veteran Dr. D Ramanaidu, his father D Suresh Babu and his uncle superstar Venkatesh. He believed strongly in the versatility and potential of film-making as a medium of expression and even produced, directed and photographed a 60-minute Hindi film titled “Barah” (12) which won him several accolades in youth film circles. 2004 – Rana was also the executive Producer and Cinematographer for a number of ad and feature films produced by Suresh Productions. He worked on movies released under the banner of ‘Suresh Productions’. 2005 – In 2005, he saw a viable opportunity in providing post-production services and started ‘Spirit Media’ to cater to the Telugu film Industry (Tollywood). It was set up as a group company of Suresh Productions, and a part of Ramanaidu Studios. Spirit Media was inaugurated in April by Barry Osborne, Hollywood film-maker and producer of The Lord of the Rings, Face Off and The Matrix trilogy. Through Spirit Media, Rana has exposed the South Indian film industry to more sophisticated film quality, thereby creating rapid demand for DI services in South India. Rana channeled Spirit Media into other national and international alliances such as QED, an international VFX collaboration backed by Barry Osborne, and Legend Films, catering to colorization and restoration of films. Spirit Media has also worked on major projects such as ‘Dasavaatharam’, ‘Gandhi My Father’, ‘Lakshmi’, ‘Stalin’ and ‘Pokiri’. 2006 – Spirit Media established itself as the premier Digital Post facility in South India. 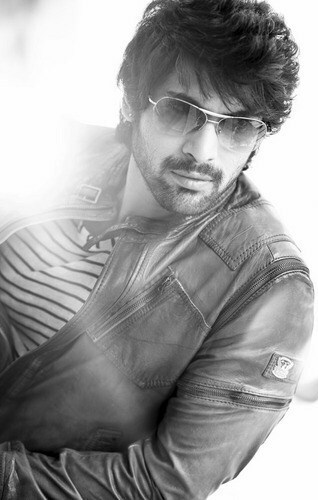 Rana also won the prestigious national award for his very first Telugu feature film, ‘A Belly Full of Dreams’. Spirit Media entered into a strategic partnership with Nipuna Services Ltd, a fully owned subsidiary of Satyam Computer Services Ltd. With the strengths of Spirit and Nipuna combined in a strategic partnership, they were able to provide an all-encompassing, one-stop solution for post production clients in the Film and Television Industries. After establishing itself in Hyderabad, Rana further expanded its operations to Chennai and Bangalore. Rana funneled Spirit into an alliance with FX Labs, a game development company and developed popular Bollywood movie based video games ‘Dhoom 2’ and ‘Ghajini’. Other collaborations include AVM Studios, Chennai for digital post production and also 4k animation GmbH, a German animation company catering to 3D animation and visual effects for Hollywood. Through Spirit Media, Rana also roped in senior digital colorist, Florian Martin ‘Utsi’ (of The Lord of the Rings fame) for forthcoming films. 2007 –Spirit Media collaborated with Prime Focus in January 2006 and Rana acquired a seat on the Board of Directors of Prime Focus. The company has continued to grow both regionally and internationally and is now India’s largest entertainment services company. He then began training for an active career as an actor. He went through two years of intensive training in acting which included dance, diction, action and stage plays. 2008 – Rana underwent training in performing arts at the Barry John School of acting, started by veteran theatre personality Barry John in the heart of Mumbai. Thereafter, he also underwent training in a stunt academy. During this time period, he has focused on developing scripts – transforming ideas into workable blueprints for his films. 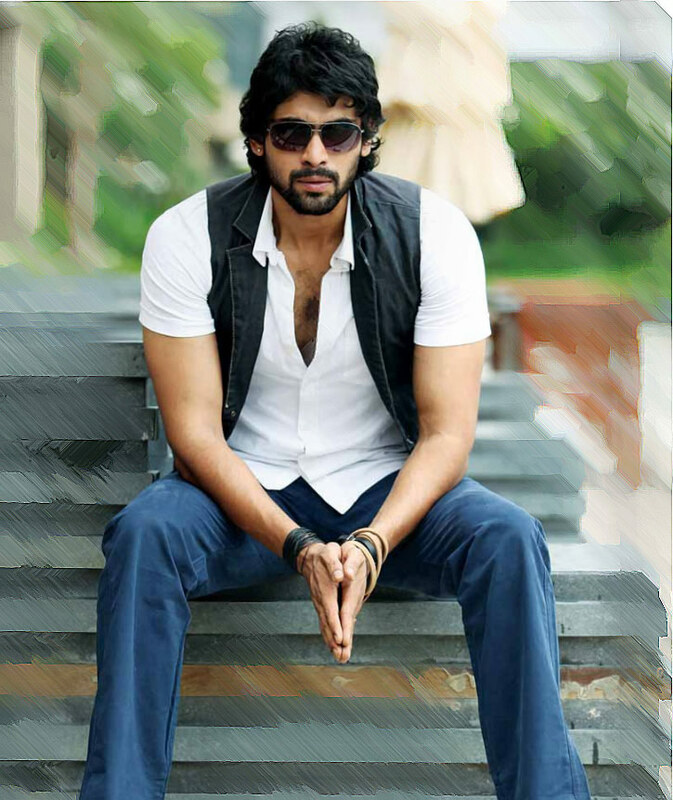 2010 – This year sees Rana as the lead actor in his debut film ‘Leader’ – directed by Sekhar Kammula. The film falls in the classic genre of political drama. In this film, Rana has portrayed the role of a young visionary, born in a powerful yet dynamic political family. He is someone, who out of sheer choice takes up the mantle of a leadership position in a highly volatile environment, who through his revolutionary pursuits, creates and implements a wish list of sorts for greater governance in a short span. The movie is set to realease on 19th Febraury, 2010.